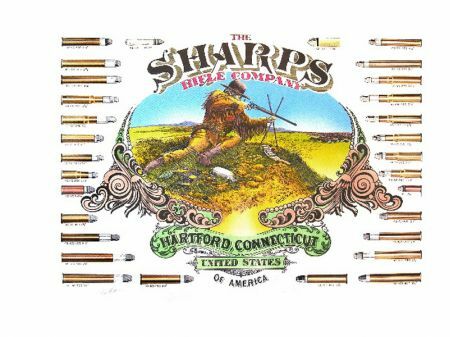 Sharps rifle company cartridge poster. 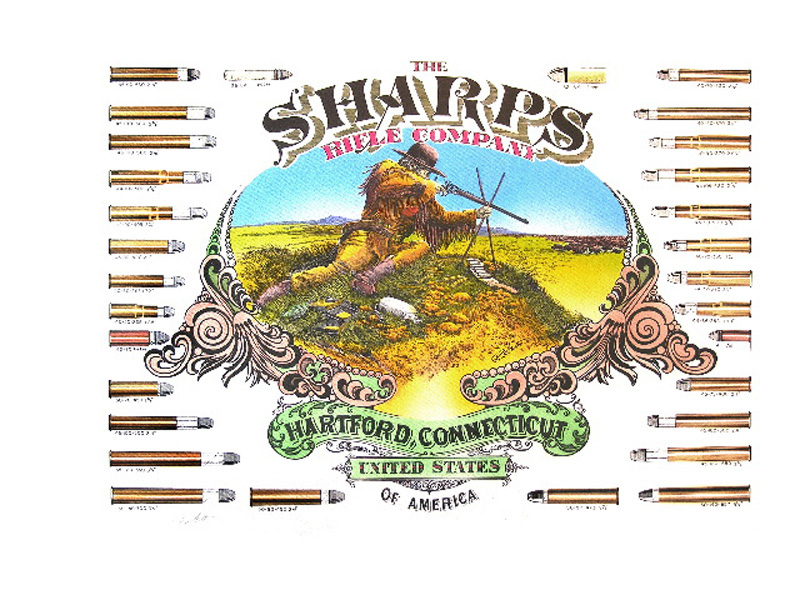 We have the exclusive rights to this custom designed poster of the Sharps Cartridge board by artist Robert Auth. Never have these been released as a poster until now.